How to Pay for an Assisted Living Facility in North Carolina? While many North Carolina Seniors cannot live independently at home, they still do not need the round the clock care that a skilled nursing facility provides. For these individuals, an assisted living facility may be the best option. An assisted living facility will allow the residents to live independently, but still provide some assistance where necessary. The typical cost of an assisted living facility in North Carolina is anywhere from $3,000 to $7,000, which is much lest than the average cost of a skilled nursing home. However, even though assisted living is not as expensive, Medicaid will not pay for this type of care, and there are only a few programs in North Carolina that will pay for Assisted Living under the umbrella of Medicaid. In this article, we will be covering some of those programs, what they will pay for, and what the eligibility requirements are. The State of North Carolina Special Assistance Program provides financial assistance to pay for the costs of assisted living facilities, adult foster care homes, or group homes. This program is specifically intended to help with the cost of rent or room and board. The best candidates for this program are low-income individuals who require some care and attention, but do not require daily medical or nursing care. Other candidates for Special Assistance include individuals with Alzheimer’s or dementia who require special care in a memory or Alzheimer’s Unit at an assisted living facility. It is important to understand that Special Assistance is not part of Medicaid, but rather is a state supplement to the individual’s Supplemental Security Income or SSI. Although Special Assistance is a great program, many individuals are disqualified as a result of the low-income thresholds required to qualify. Participation in this program is also restricted based on the age, residency, functional ability, and financial status of the applicant. Age: To qualify, an applicant must be at least 65 years of age or otherwise designated disabled by Social Security. Residency: An applicant must be a U.S. Citizen and have lived in North Carolina for at least 90 days prior to applying for SA. So if you are thinking about bringing your Mother up from Florida under this program, she will need to wait 90 days to apply. Functional Ability: There must be a medically documented need for the level of care provided in the assisted living facility. This means that the applicant requires assistance with everyday activities, such as bathing, getting dressed, or getting out of a chair and walking. Financial Status: This is where most applicants fall short. The income cap in 2018 is $1,228 per month. So if the applicant earns $1,229, then they would not qualify. In addition, the applicant’s countable financial assets cannot be more than $2,000, excluding their home, personal effects, and one vehicle. Last but not least, not every assisted living facility is authorized to receive Special Assistance payments. If you are interested in this program, you must find a facility that will accept Special Assistance payments. Individuals who are eligible for SA are automatically qualified for Medicaid. Special Assistance pays for the costs of room and board in an assisted living facility, but it does pay for medical care. However, as mentioned above, eligibility for this program means that the recipient of SA is also eligible for Medicaid. In North Carolina, Medicaid covers both medical and non-medical care. This includes assistance with the activities of daily living for the beneficiary. The maximum amount of assistance provided is determined by the applicant’s overall income and by the rate the assisted living facility charges their residents. In 2018, the maximum benefit amount is $1,228 per month. However, the actual benefit amount is calculated by subtracting the beneficiary’s current income from the maximum benefit. The difference is paid as the housing benefit. If you have a loved one who needs assistance with Activities of Daily Living, such as feeding themselves, using the bathroom, and putting on clothes, then the North Carolina Personal Care Services (PCS) program might be a good option. The PCS program provides aid to participants at their home or in a group residential care setting (which could include adult foster care or an assisted living facility). Anyone who is eligible to receive services under this program is able to do so immediately. This is important because there is a similar program in North Carolina called the Community Alternative Program/Disabled Adults Waiver (CAP/DA) which is described below. The CAP/DA program, while popular, is subject to enrollment caps and there are long waiting lists to get into that program. Another distinction is that the CAP/DA program will only work for patients that live in their own home. So if you are looking for a way to pay for Assisted Living, the CAP/DA program is not the best choice. To be eligible for North Carolina PCS the applicant must have a functional need and a financial need. Alternatively, the applicant must require considerable assistance with two out of those five ADLs. To qualify, the applicant must also be financially eligible for Medicaid. As of 2018, the income eligibility limits for NC Medicaid are $1,012 per month for an individual, or $1,372 for a married couple with both spouses applying. In addition, a single applicants must have no more than $2,000 in countable assets, while a married couple may have no more than $3,000 if both spouses are applying. While this asset limit may seem relatively low, an elder law attorney may be able to assist you in legally re-organizing your assets in such a way that you will qualify. The Community Alternative Program for Disabled Adults (CAP/DA) is a “waiver program” that allows an alternative to nursing home placement for low-income, disabled state residents. The participants in this program are able to remain in their home while receiving the care of a friend or family member. For obvious reasons, this program is not for everyone, and there is a long waiting list, but in the right situation it is a great way to allow a senior to remain in their home longer than they would typically be able to. The Community Alternatives Program for Choice (CAP/Choice) is another option under this program. With CAP/Choice, the participants are given additional options for some of their care services. Essentially, adult children of aging parents can be paid to be their caregivers under this program. Both CAP/DA and CAP/Choice are available to North Carolina residents who are at least 18 years of age and have a physical or mental disability that would otherwise require skilled nursing care. If the applicant has income that does not exceed $1,012 (for a single person) or $1,372 (for a married couple where both spouses are applying), then they will qualify automatically. If the applicant has higher income, they may still qualify if their cost of care significantly reduces their disposable income. For example, in 2018, an individual’s monthly income after subtracting medical and care costs should not exceed $253, and married applicants with both spouses applying should not have more than $343. If the applicant is married, it is possible to transfer a portion of their income to the non-applicant spouse. Called the minimum monthly maintenance needs allowance, or MMMNA, the purpose of this rule is to prevent the impoverishment of the non-applicant spouse and still allow the applicant to qualify for benefits. Individual applicants are allowed to keep up to $2,000 in countable resources and still qualify for Medicaid. If you are a married couple, and you need to apply for your spouse, the amount of countable resources you may keep will vary depending on your personal situation (as of 2018, the community spouse may keep between $24,720 and $123,600). However, determining the level of countable resources is where many people go awry. They believe, incorrectly, that any and all assets they have will count against them. This is not the case. Different assets mean different things in the eyes of Medicaid. Another huge mistake that an uninformed applicant will make is that they start giving away money before applying for Medicaid to get under the resource limit. The case worker looking at your file will take a hard look at any significant gifts or asset transfers for the past 60 months prior to you filing your application. If they find that you improperly gave away money, they will impose a penalty of 1 month delay in benefits for every $6,300 you gave away. That being said, the applicant’s primary residence is not a countable resource provided that the applicant or their spouse lives there or intends to return to the home. If the applicant is unmarried, up to $572,000 of equity in their home is protected. There is no equity cap for a married couple. In addition, some other non-countable resources include the applicant’s vehicle, burial plots, up to $10,000 in life insurances, and irrevocable pre-paid funeral contracts. 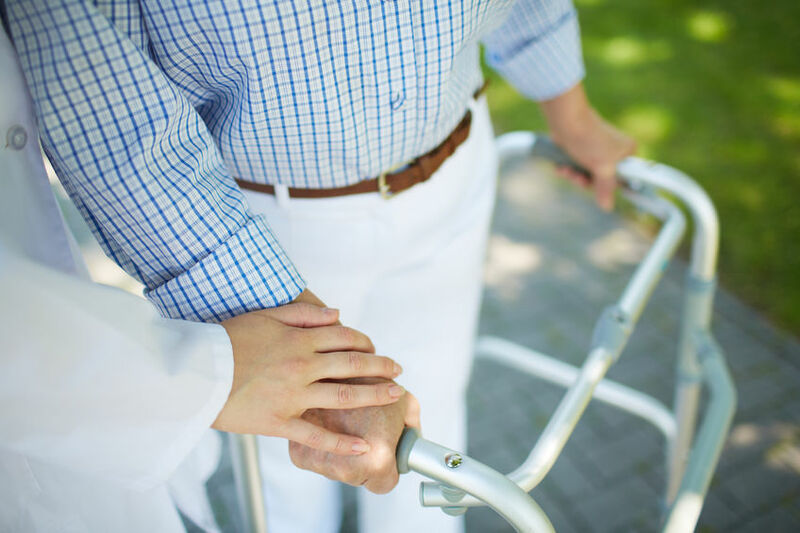 If you are looking to place a loved one in an assisted living facility, or perhaps even a skilled nursing facility, it is important that you consult with an elder law attorney before you make any major decisions. You may reach our office at (919) 883-4861 or fill out our online contact form to schedule a quick call. Previous Post: « What is the Timeline to Apply for Medicaid and Spend Down Assets?